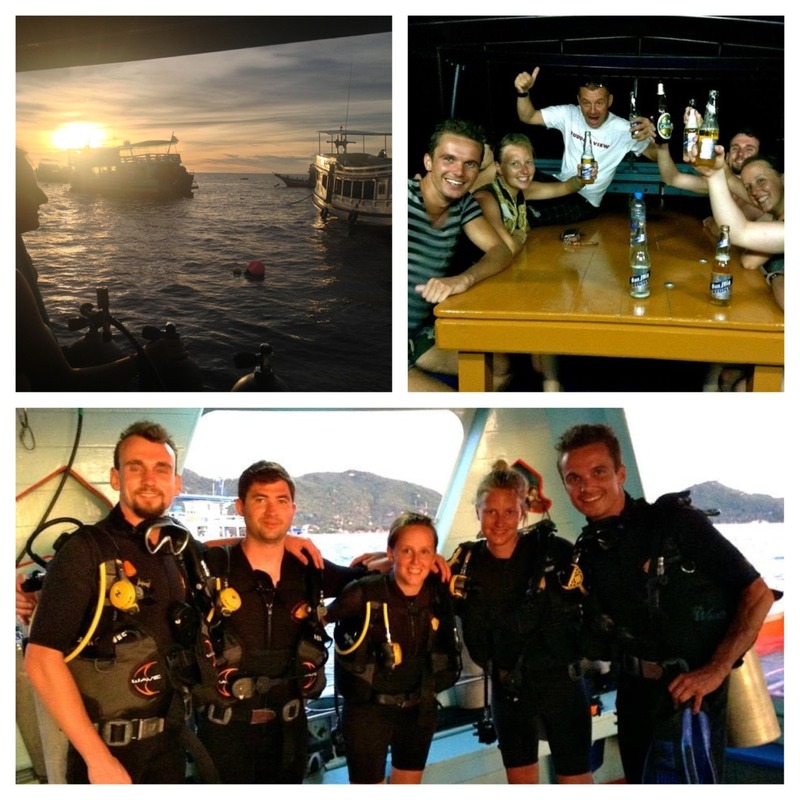 I heard once you scuba you’ll be instantly hooked and knowing it’s an expensive addiction I tried to avoid it as long as possible but when we decided to head to Koh Tao, the island known for the cheapest diving in the world, I couldn’t resist. Cas and I signed up for our open water certification with Buddha View on the south west bay of the island, away from the party beach aka leftover full moon party animals still searching for bucket deals and laughing gas to get high on. We were lucky to have an amazing dive group with a hysterical, inappropriate Dutch instructor named Bas (I don’t think I’ve ever been hit on more in one week than in my entire life but it was more comical than creepy). Breathing under water in the pool for the first time was an odd thing to get used to but the next day in the sea I immediately fell in love. To be weightless moving in the water and not having to come up for air is unlike anything I’ve experienced. The James Bond front flip off the boat with the tank on and all was pretty sick too. It didn’t take long for me to sign up for the advanced course which included 5 more dives and more of Bas’s inappropriateness. Who knew you could turn every scuba instruction into a sexual or that’s what she said joke. My favorite dives of the week were the wreck and night dives. While coming down the line at the wreck a giant sea turtle was swimming away, we got to peer in an old sunken ship, and see how the sea life made it their new home. Taking off while the sun was setting on a beautiful clear day for our final dive couldn’t be more perfect. Flashlights in hand we sunk down to explore the creatures in the dark. We saw eels, huge barracudas, a gorgeous stingray, sleeping triggerfish, huge crabs moving their homes, fluorescent plankton, and so much more. We brought a cooler of beers to celebrate as we got back on the boat and cheers’d to an unforgettable experience. When our group wasn’t diving we were on scooters exploring view points on the island, eating spicy Thai food, snorkeling in shark bay, soaking up rays, or laughing all night with beers at some of the coolest chill-out bars on the water’s edge. As I promised Bas, I will return to Koh Tao someday, maybe to get my dive masters, maybe for just a visit, but I can understand how people give up their careers for this type of life. I mean I had to force myself to buy a ticket off the island before I considered renting a flat, a scooter, and called Koh Tao my new home. But my life is so tough, I had to move on, more islands await.